I wish I hadn't watched the series before reading the book as I found myself comparing them a lot and maybe that's why I didn't enjoy it as much? I still enjoyed it, I love the story and I love the characters (some more than others ofc). I did, however, feel as though it was a little rushed. The story flew by and everything happened so quick, at the end I was a little lost - this is where I feel watching the series first helped, it helped me keep track of what was going on and all the characters that you're introduced to in a short amount of pages. This book sticks in your head as it portrays a dystopia that is both terrifying and very possible, which is why I feel this book is so powerful. 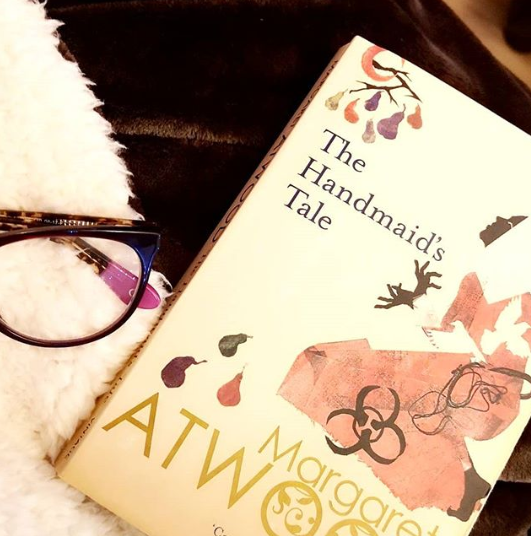 Women's rights have been completely striped away and the fertile ones are now handmaid's and are assigned to an upper class man. June has lost everything including her name, she is now known as 'Offred' meaning 'Of-Fred', the upper class man she now serves. Terrifying, powerful, realistic. I loved it. 'At first sight, Ove is almost certainly the grumpiest man you will ever meet. He thinks himself surrounded by idiots - neighbours who can't reverse a trailer properly, joggers, shop assistants who talk in code, and the perpetrators of the vicious coup d'etat that ousted him as Chairman of the Residents' Association. He will persist in making his daily inspection rounds of the local streets. This book reminded me a little of Eleanor (Eleanor Oliphant is completely fine) as Ove is a simple man who loves sticking to routine. This book takes place after the death of his wife, Ove worshipped his wife 'He was a man of black and white. And she was colour. All the colour he had. ', he would do anything for her, she was his life. For the first few chapters of this book I found it hard to bond with the Character of Ove, what a grumpy gills. He hated the poor cat, he called everyone by nickname eg. The Lanky One, he stuck to the rules and made sure everyone else did too, he just wasn't much of a likeable character. However, by chapter 5 I began to feel a little sorry for him, and by chapter 10 I bonded with him. Throughout the book we learn why he does and/or doesn't do certain things, why he doesn't go on buses and thinks all the bus drivers drink for example, as we learn we start to understand him and like him as a character. He also goes from calling the cat 'it' to talking about him and it as 'they' which I really liked, it's sad hearing him talk to the cat as if it was nothing. 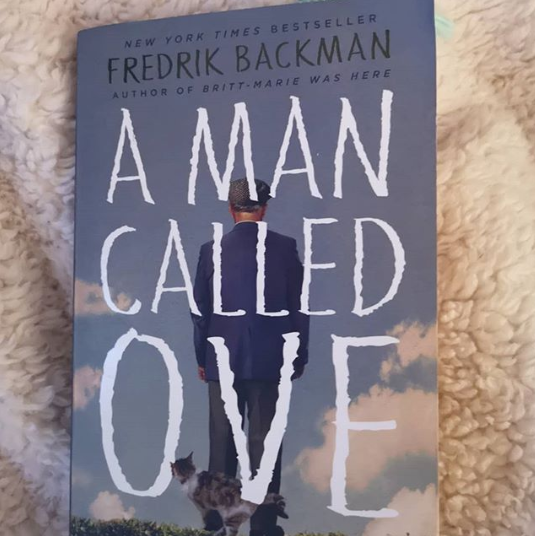 I enjoyed watching him open up and eventually let others in, I just loved this book and I absolutely adore Ove. 'When Rod Walker decides to take the final test for Deacon Matson's interplanetary survival course, he knows he will be facing life-or-death situations on an unsettled planet. What he doesn't expect is that something will go wrong with the Tunnel in the Sky and he and his fellow students will not be able to return to Terra. 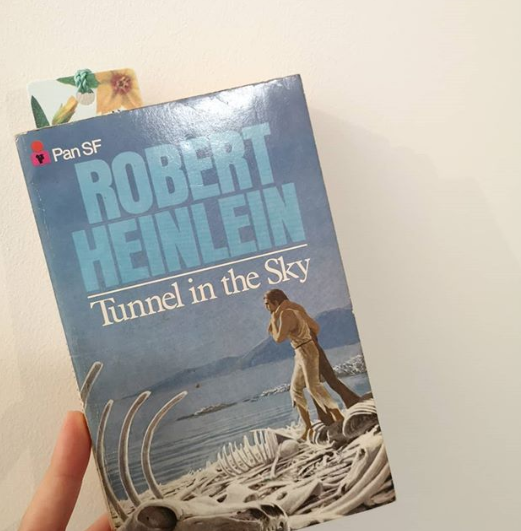 This is my favourite book that I've read by Heinlein so far, I really enjoyed this book. A group of students are taking their final test for their survival course, they are sent to a secret planet where they will have to use their skills to survive. Something goes wrong and they have no way of returning, this is where the book reminded me a little of Lord of the Flies - they form groups and power tries to take over. I don't want to say much about this one as I don't want to spoil it but I loved it and I'll definitely be reading this one again and again. 'We should be the happiest species alive - but most of us aren't. What's gone wrong? I love reading self-help books, I read quite a lot of them but Ruby Wax is one of my favourites. I love how she backs everything up with science and adds a little humour into each chapter. 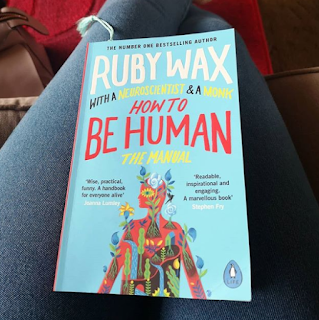 I love how the chapters are set out, each one is a different topic which is clearly well-researched, Ruby talks about the topic adding in a story from her personal life then finishes each chapter with an interview. In this book Ruby interviews Gelong Thubten, and Buddhist Monk and Ash Ranpura, a Neuroscientist, both of whom are incredibly knowledgeable in their respective fields. I loved this book and, as with all other self-help books that I have loved, I plan to read it again and again. 'Verdigris n. a blue-green rust that tarnishes ageing and forgotten copper coins, altering them entirely . 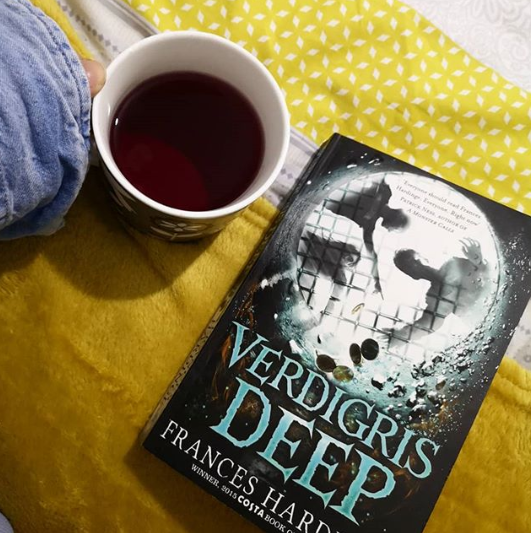 . .
Frances Hardinge has done it again, I LOVE her. This had an interesting story to it, I've never read anything like it, it was darker than I had expected and I absolutely loved it. Three friends are stranded and need to find money for the last bus home and find it quick, they decide to steal some coins from a nearby wishing well - this is where everything starts to get weird: Chelle can't stop herself from spouting random words, Josh is making light bulbs blow and affecting all things electrical, and Ryan is growing strange wart-like growths on his knuckles that itch and itch. After a few creepy dream experiences for Ryan, they work out that this is all connected to the moment they stole the coins and that they now have to grant wishes from the well, with the help from their new powers. 'It was just a party. But it turned into a nightmare. I read this book in one sitting, I HAD to know what happened and I HAD to know who was involved. Didn't expect the ending given all the information that her neighbours and friends gave, I just didn't see it coming till it happened. 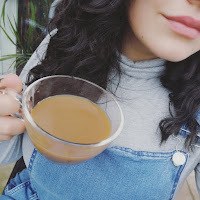 Rachel has woken up in her neighbour's house after a party, sore and with no memory of what happened the night before. 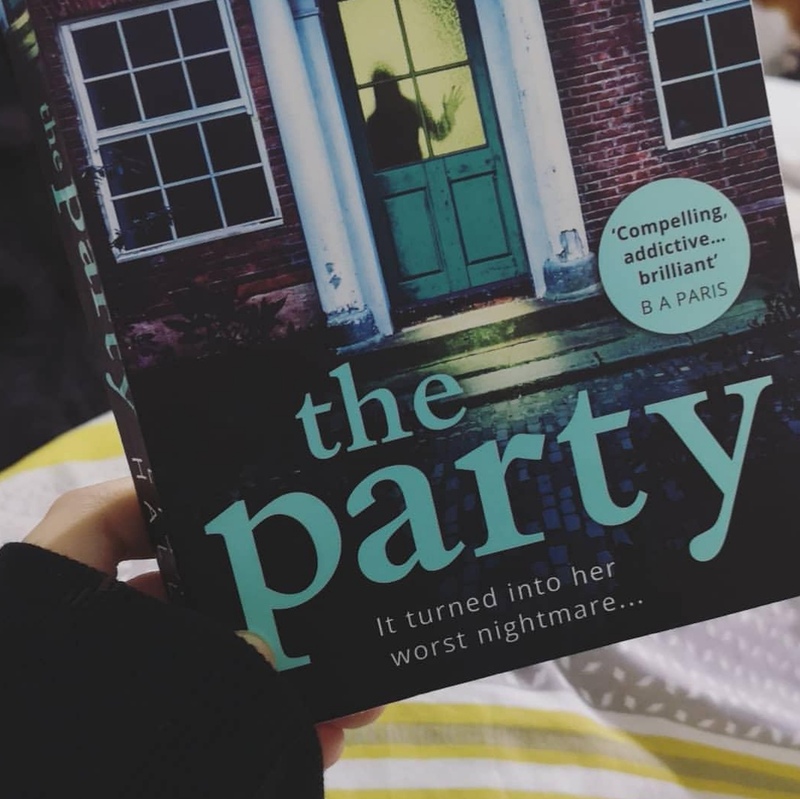 This book is Rachel on a mission to find out what happened that night, interviewing friends and neighbours and piecing everything together.